Places of interest: Lake Retaud and the splendid Diablerets massif reflected in it; the view down to Feutersoey and Lake Arnon from the foot of La Palette; Chalet Vieux and its Etivaz cheese. 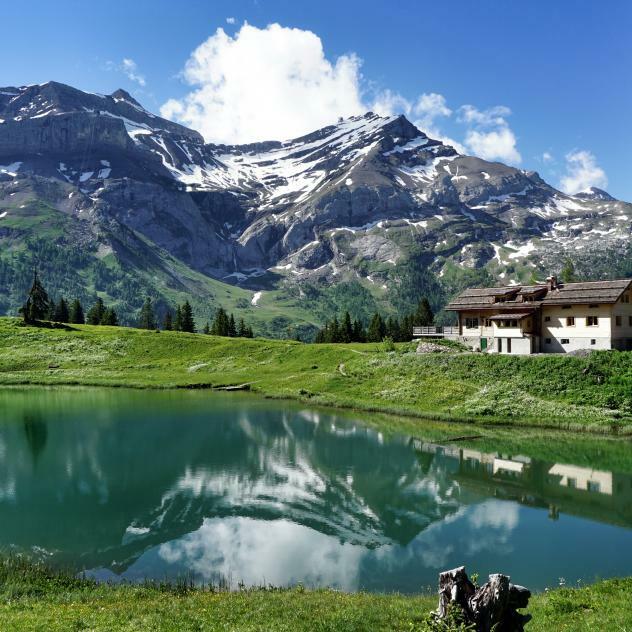 The hike starts at Col du Pillon and leads you towards the pastures around Lake Retaud which offers breathtaking views of the Diablerets Massif. 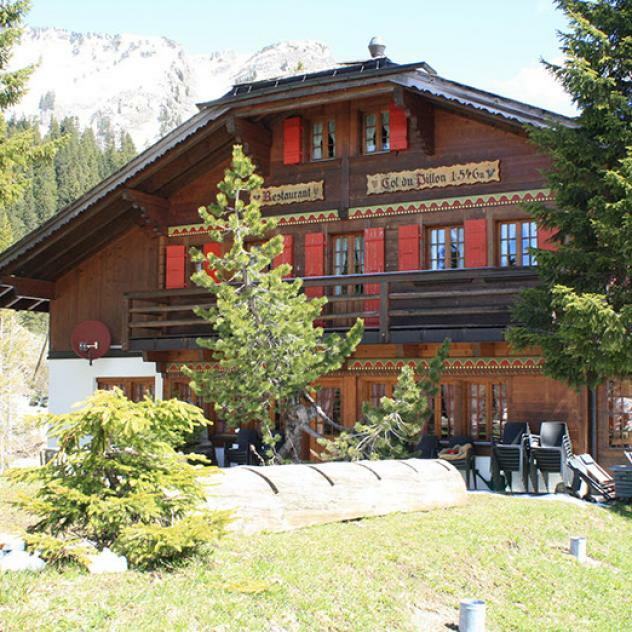 The tour then continues opposite the Tours Aï and Mayen and leads you to Chalet la Marnèche located in front of the foothills of the Para massif and, on the other slope, Meilleret and Chamossaire. Sounds of cow bells and bleating sheep accompany you on your way along rhododendrons towards Isenau Chalet, a superbly located large Alpine chalet which is decorated with all kinds of bells. After going up to Col des Andérets, you will turn right in the direction of the summit of La Palette. Your eyes will instantly be drawn towards a blue spot formed by Lake Arnon nestling in a dark green forest. Feutersoey, Pays de Gessenay and the Bernese Oberland are located beyond this point. 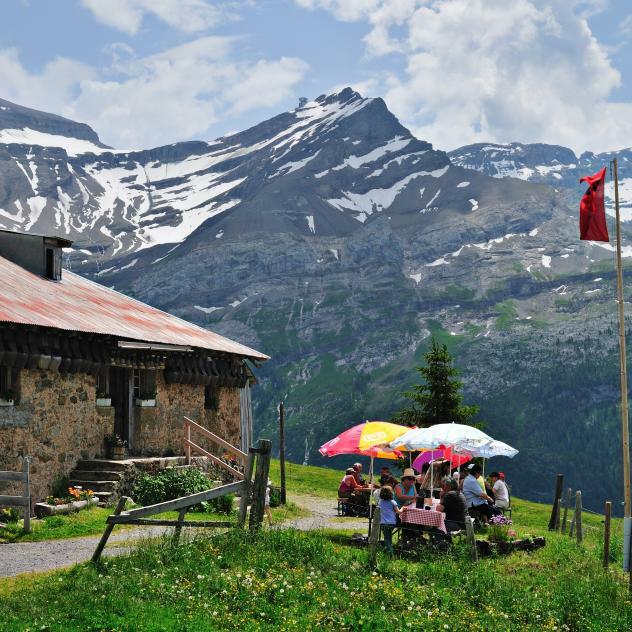 The red roof of Chalet Vieux below stands out from the surrounding green pastures. In the north a path leads towards Lake Arnon. The initially rather steep descent with high steps carved into the ground turns into a beautiful hill path among flowers and butterflies leading towards Retaud and the point of departure. Signalization: Follow the yellow signposts from Col du Pillon towards Lac Retaud – La Marnèche – La Palette – Chalet d'Isenau – Col des Andérets – Col de la Voré – Lac Retaud – Col du Pillon.